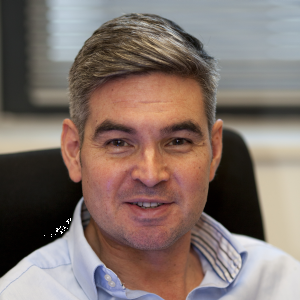 Philip Beales is Professor of Medical and Medical Genetics at UCL in London, UK and an NIHR Senior Investigator. He is chair of the new UCL Institute for Precision Medicine and Director of the Centre for Translational Genomics (GOSGENE). Beales is best known for his clinical and genetic research (20 years) into rare diseases especially, the ciliopathies, leading research culminating in novel gene discoveries for Bardet-Biedl syndrome, Jeune Asphyxiating Thoracic Dystrophy, Cranioectodermal dysplasia, Acrocallosal Syndrome and several other disorders. He was the first to attribute the Bardet-Biedl syndrome phenotype to dysfunctional primary cilia. Beales’ group continues to pursue research in translational science and therapeutics for ciliopathies including gene therapy. He is practices clinical genetics at both Great Ormond Street Hospital for Children and Guys Hospital, London and is national lead for the NHS England specialist commissioned Bardet-Biedl syndrome clinical and diagnostic service. He is also founding Co-editor in Chief of BMC CILIA and sits on several journal editorial boards. He was elected fellow of the Academy of Medical Sciences in 2011.